Bored of simple and cold meeting rooms? This colorful event venue is what you always needed! The adjustment of the room is made for you to be creative and enjoy the moment. 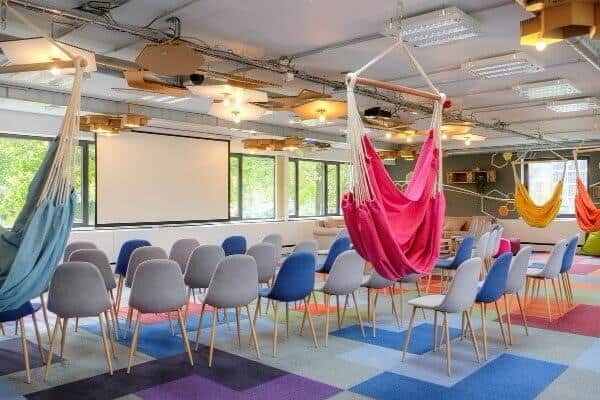 An event room equipped with hammocks, how cool is that? So don’t lose your time searching for any other venue! Choose this amazing place and share it with your guests! This is an innovative way to host meetings, workshops, collaborative meetings, team building events and so on…!